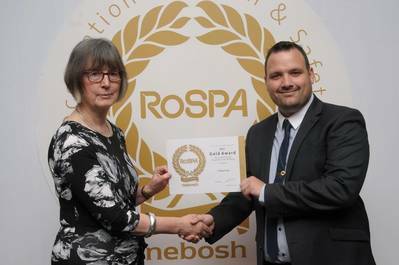 CWind Ltd, a provider of services to the offshore wind industry, is once again among the winners at the RoSPA Occupational Health and Safety Awards 2014. The Gold award in the prestigious annual scheme run by the Royal Society for the Prevention of Accidents (RoSPA) was presented during a ceremony at the ExCeL London, on June 17, 2014. Through the scheme, which is open to businesses and organizations of all types and sizes from across the U.K. and overseas, judges consider entrants’ overarching occupational health and safety management systems and performance, including practices such as leadership and workforce engagement .